Gustave Flaubert, the author of Madame Bovary, is famous for writing his books slowly and painstakingly. I first heard about Flaubert’s slow-muse reputation in the work of P G Wodehouse, the British humorist who was famous for writing his books extremely fast. It seems Wodehouse got to hear of Flaubert’s intricate working and reworking of his manuscripts, and thought it excellent fodder for comedy. He makes frequent reference to Flaubert’s obsession with style. As always with Wodehouse, the teasing is gentle and never unkind. Flaubert is often cited as having said, “I spent all morning adding in a comma, and all afternoon taking it out again.” Sadly, this seems to be apocryphal. But Flaubert did keep all his manuscripts, so the extent of his revisions is plain to see. There is one scene in Madame Bovary that he famously reworked fifty-two times. It was quite common for him to rewrite a page twenty times over. 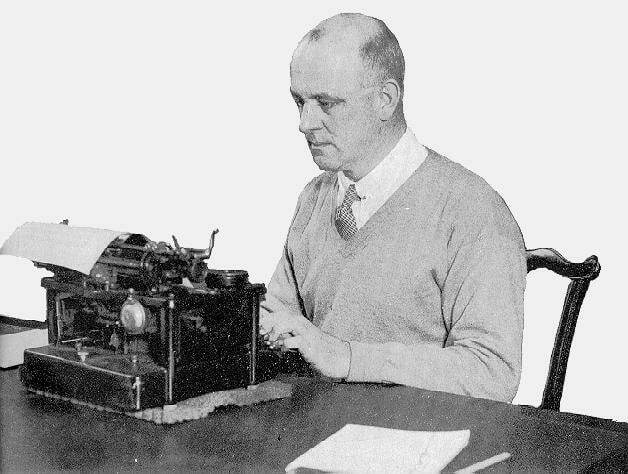 Wodehouse, on the other hand, regularly wrote ten thousand words before lunch. He produced about a hundred and sixty published books in his lifetime, as well as hundreds of short stories. While not all his books are regarded as equally brilliant, he is recognised as one of the greatest humorists of all time and an undisputed master of English prose. So, who is right and who is wrong. Are you a Flaubert or a Wodehouse? Do you even have to choose? Why can’t we all just get along and write according to our own preferences and abilities? Well, because sometimes one wants to learn the art of writing fast because this is one’s career and one would quite like to make a living out of it. While it is perfectly possible to produce one big, well-regarded book a year by writing two hundred and fifty words a day, as South African crime writer Mike Nicol reportedly does, one needs to produce more than that to crack the mysterious algorithms of Amazon. These remain a closely guarded secret, but it is clear to the meanest intelligence that the ‘Zon rewards frequent publishing … of full-length novels. You don’t get to release six novels a year, year in and year out, without mastering the art of some pretty speedy writing. You also won’t achieve longevity as a writer if those six books are unreadable rubbish. As with everything in writing, there is no formula for success, but there are some tips and tricks that are more useful than others. If these don’t sit well with you, then writing fast might not be for you, which is absolutely fine. It might also be that you have found your own successful formula and don’t need any advice, which is even better. One thing that most fast writers have in common is careful advance planning. When you plot a book out in advance, scene by scene, the actual writing goes much faster. And, more importantly, you end up with a clean first draft that doesn’t need much editing. Many great writers are pantsers, not plotters, which means they fly by the seat of their pants and go wherever the story takes them. That works well for experienced writers with spreadsheets for brains who can keep track of intricate plot points on the fly. If you don’t actually have Scrivener downloaded directly into your mind, you might be better off plotting in advance if speedy writing is your goal. Writing a first draft in three weeks is all very well, but if it takes you another six months of revising and rewriting to turn that into a decent novel, then you have lost your speed advantage. The goal is to achieve a clean draft that requires minimal tidying up before it gets sent to your professional editor / proofreader. This last step is not one you want to skip for the sake of speed, or for any other reason. It is a truth universally acknowledged that no writer can edit herself. I don’t care if you are Nadine Gordimer herself, you need someone to read over your work and clean it up for you. Another tip that works for me, but isn’t everyone’s cup of tea, is dictating rather than typing. The advantage of dictating is that you can do it anywhere. You don’t have to be sitting in front of your laptop during your designated “writing time”. You can be following a toddler around a muddy park while she pokes sticks into puddles (me), you can be sitting in the car waiting for an interminable ballet lesson to come to n end (me), and you can be walking around the house scooping up random socks and rugby shorts (also me). When it comes to dictating, you have various options. I have tried them all and found that they all work if you are determined enough. You can dictate during the day and type up your own work up at night. The advantage of this is that it costs nothing, and gives you a chance to edit your work while you are transcribing your words. You can also make use of dictation software. This requires an initial financial outlay, but is free after that. Dictation software is getting better all the time, but still struggles to distinguish between their, there and they’re, and probably always will. Another option is to dictate your books and hire someone to type them up for you. This is surprisingly affordable, but will still be out of reach for many. Careful planning is especially necessary when you are dictating, because you can’t flip back and see what you wrote a few pages ago. If you don’t have that spreadsheet in your head, it helps to have the whole book plotted out in advance so that you’re just fleshing out the details when you do your actual writing. If your ambition is to write well-respected literary fiction or quality genre fiction and to be traditionally published, you might be better off writing at your own comfortable pace. If you are trying to game the Amazon algorithms with frequent releasing, you need to look into ways of upping your pace. A decrease in quality is often the price you pay for fast writing, but this doesn’t always have to be the case, particularly as you become more experienced. The more carefully you plan and outline, the more likely you are to maintain a good standard of fast writing. Many of the greatest books in history were written in a month or less – including A Clockwork Orange, On the Road, As I Lay Dying, and A Christmas Carol. If writing fast was good enough for Dickens and Kerouac, it’s good enough for us. Starting to write a book you have planned out in detail is like walking into a room filled with old friends. You know exactly what they’re going to say and how they’re going to act. It means you can skip right over that awkward getting-to-know-you stage. You just need to lay the groundwork first.